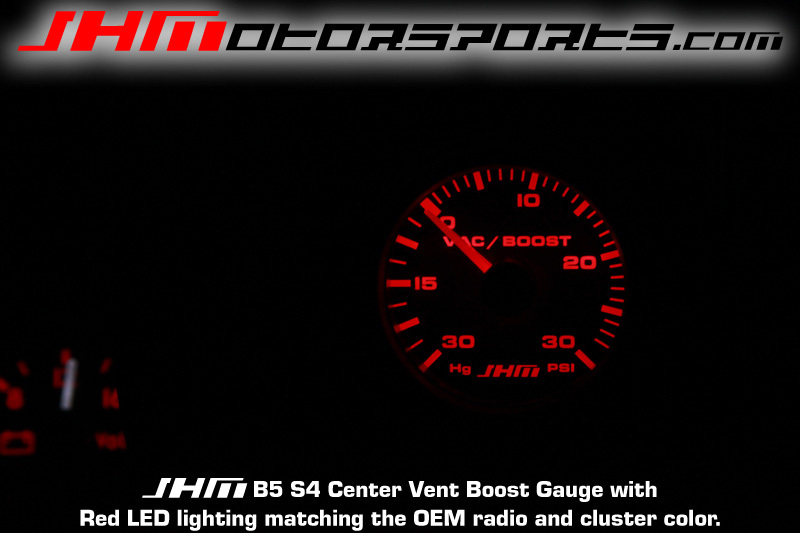 FITMENT: Fits 2000 to 2002 B5 S4. This kit completely replaces one of the three center vents (your choice) and sits at a usable height. The red lighting matches the factory colors exactly. 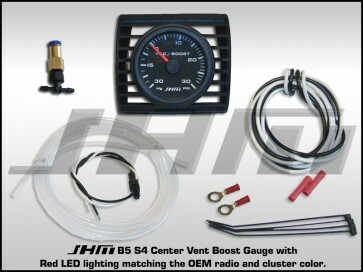 The gauge reads from 0-30 psi of boost and 30-0 in/hg of vacuum. 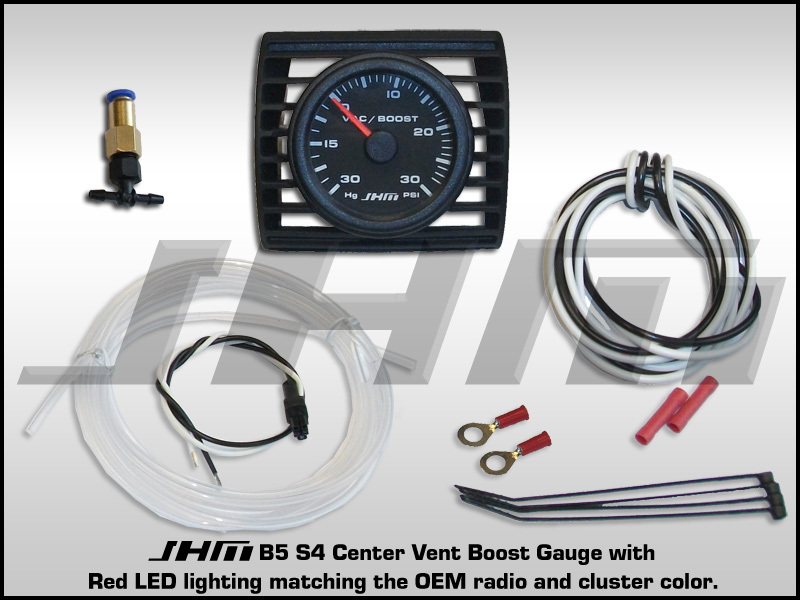 This kit includes a complete center vent pod with OEM fit and finish (Black in color), JHM 30 psi boost gauge, high quality spring lock fittings for quick installation and removal, all the wiring and connectors needed, and instructions. Installation is easy and takes about 1 hour. NOTE: The center vent shut off controlled with the wheel on the left of the center assembly that is located on the back side of the center vent assembly needs to be removed or notched heavily for install. With any gauge install this back block off vent is best to be removed or notched to clear hoses and wires. Even if notched for the hoses and wires it can't fully seal. In our experience it is easiest to just remove it. We cover this in our instructions as well.